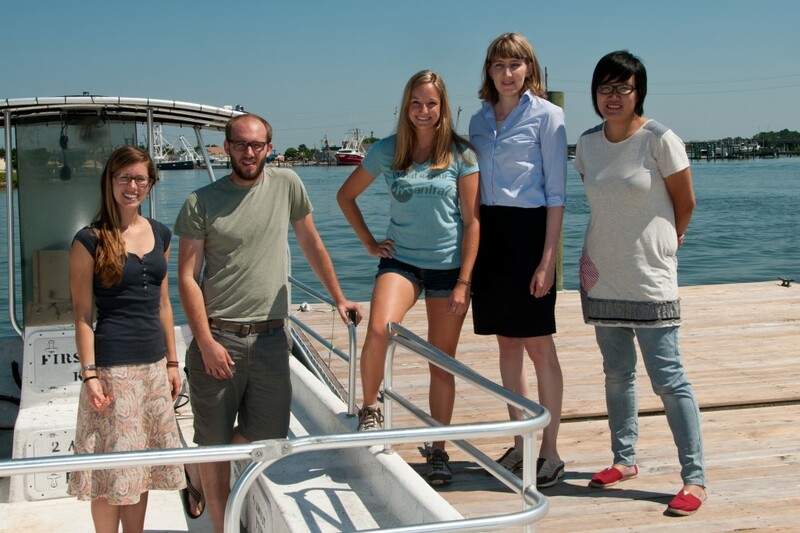 The Hunt Lab welcomes applications from postdoctoral researchers, graduate students, and undergraduate students with backgrounds in Biology, Oceanography and Environmental Engineering. Prospective students are strongly encouraged to contact Professor Hunt (dana.hunt (at) duke.edu) prior to applying. Students interested in joining the laboratory can apply through the Division of Marine Sciences, the University Program in Ecology, or the Integrated Program in Toxicology and Environmental Health at Duke University. Please mention your interest in the Hunt lab on your application. PhD students applying through all departments are eligible to participate in a new cross training program in Integrative Bioinformatics for Investigating and Engineering Microbiomes (IBIEM). Students are strongly encouraged to apply for external graduate fellowships. We also mentor non-Duke undergraduate students through the REU program in Marine Sciences.